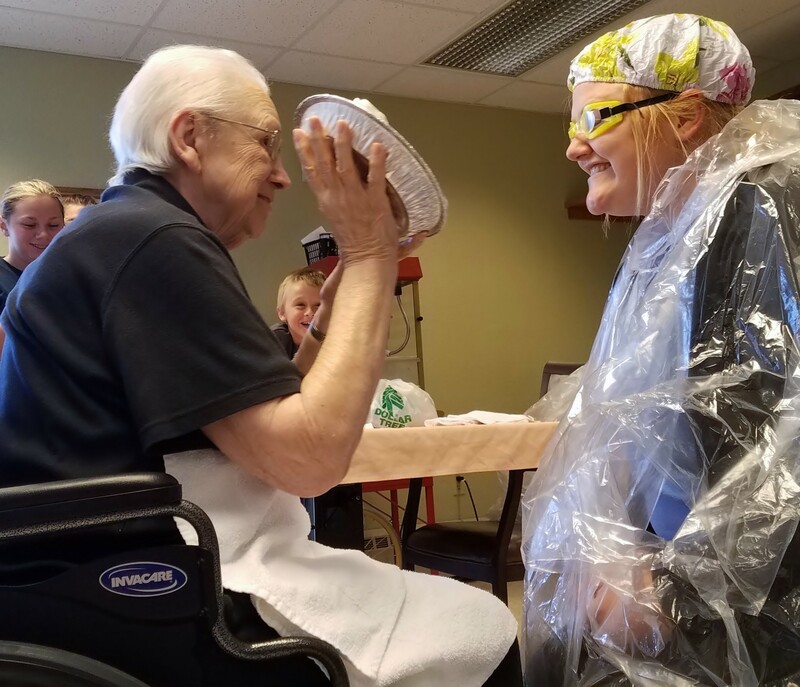 Outreach Archives - NEWCare, Inc.
On July 17th NEWCare held a Pie in the Face Day where three team leaders received a pie in the face from three different residents. Team leaders were selected by participating in a contest where teammates would make their choice by donating money under the team leaders name. Team leaders had a timed “buy out” where they could match donations made under their name and buy out of getting “pied. 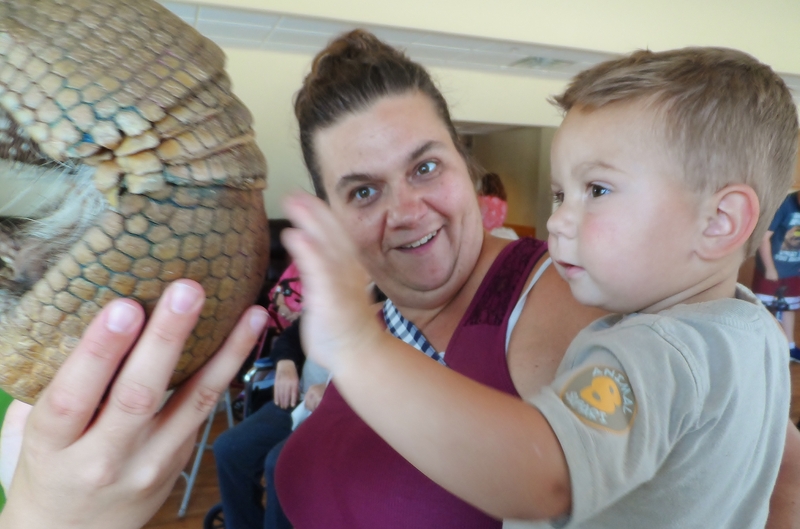 Proceeds went to the cost of the New Zoo Zoomobile that came to NEWCare on August 9th. 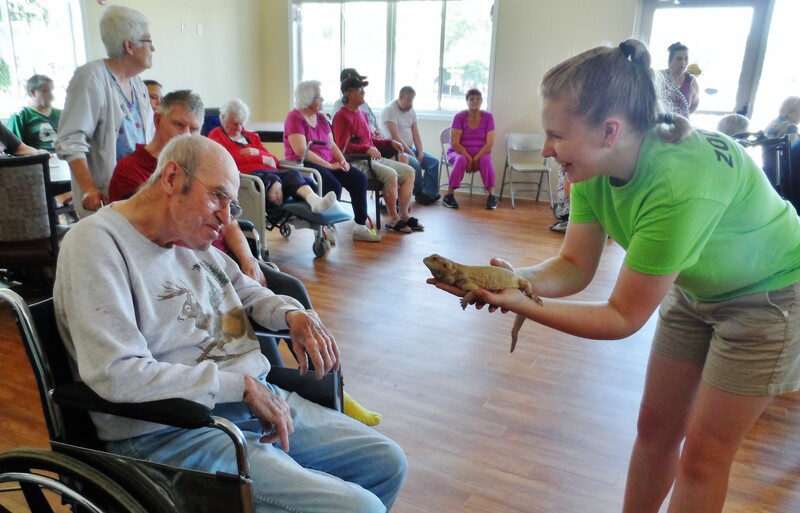 Residents of all three facillities, employees and their children were treated to two shows and thrilled to see the animals brought in and up close by the Zoomobile. Both events resulted in laughter and smiles for all! 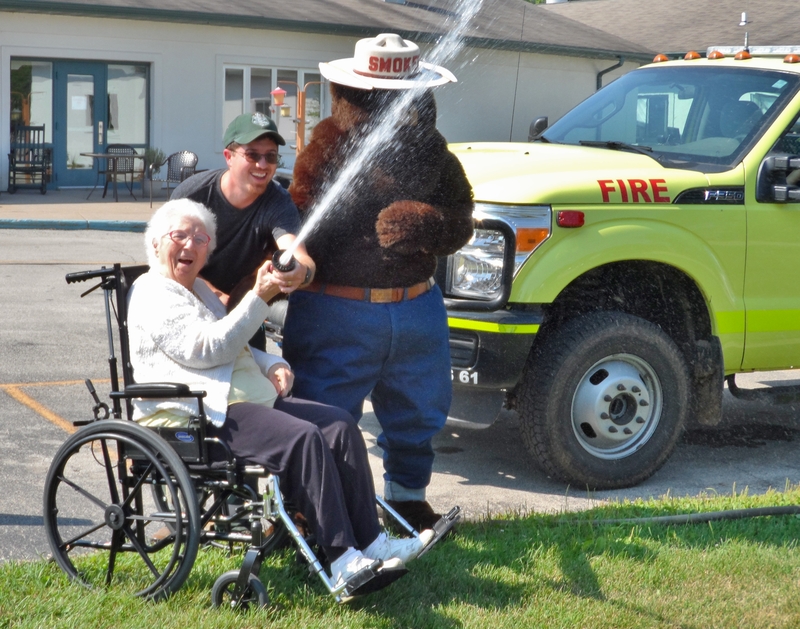 On August 9th, NEWCare put on a birthday party for Smokey the Bear to celebrate his 74th birthday. 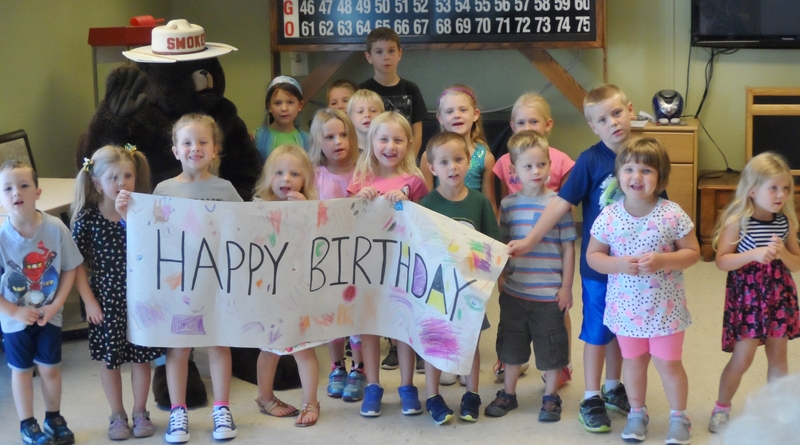 Residents, employees, their children and the children from the CYI Day Care Center were all invited to attend and treated to Smokey’s favorite – honey sticks! Smokey answered questions and provided great advice on forest fire prevention. 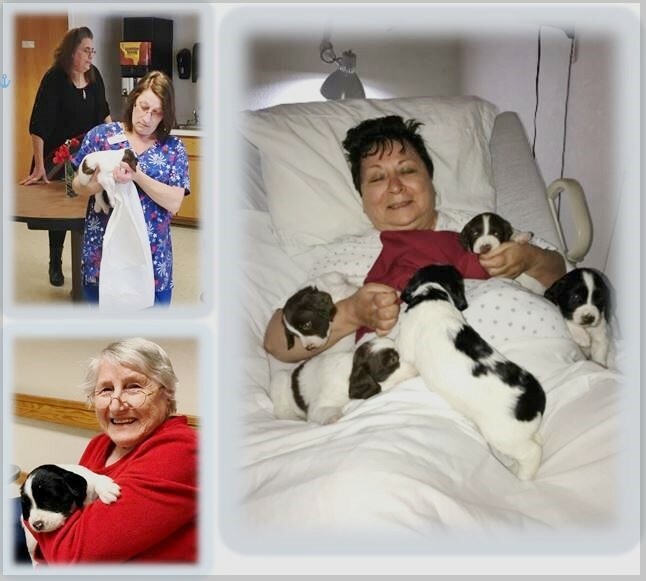 Newcare would like to thank Amy Deschane for bringing in her litter of Springer puppies. Her dog actually had 9 puppies but she only brought the six she could fit in her laundry basket. 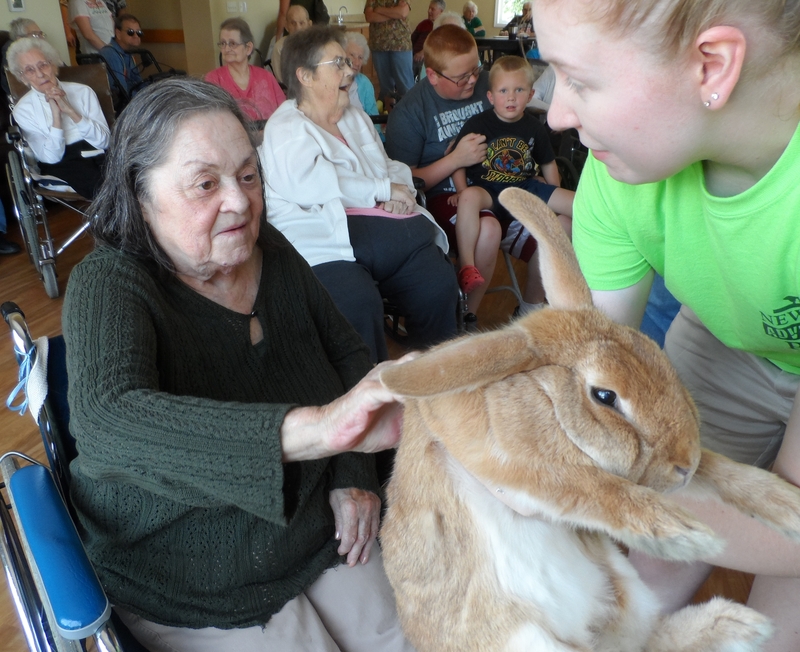 This was a treat for residents and staff alike – one of the activities welcome at NEWCare. If you are interested in providing activities for our residents, either as a volunteer or by filling one of our part-time openings in the Activity department, please call NEWCare at (715) 854-2717 and speak with Cindy in Activity or Laura in Human Resources. 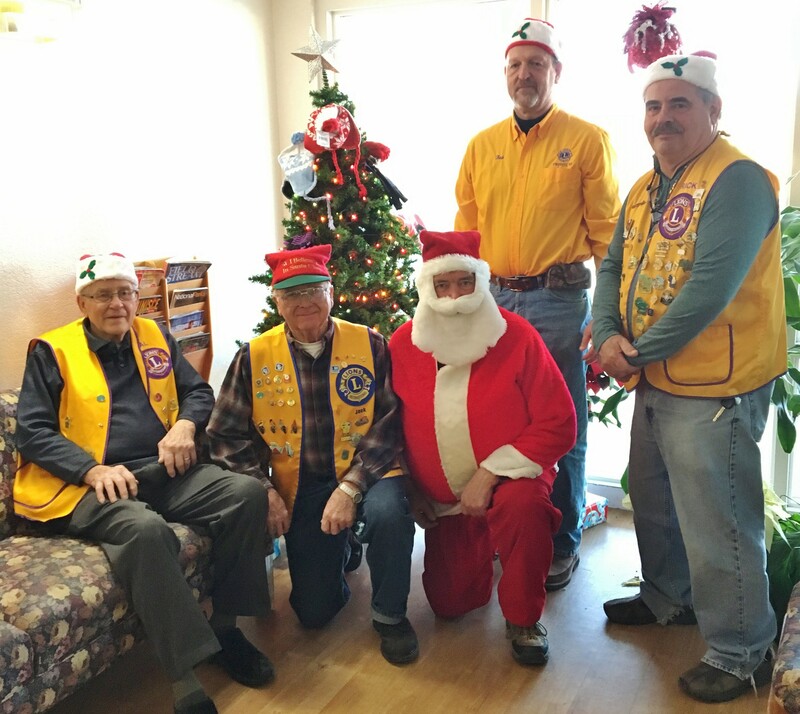 NEWCare would like to shout out a big “THANK YOU” to the Crivitz Lions Club. 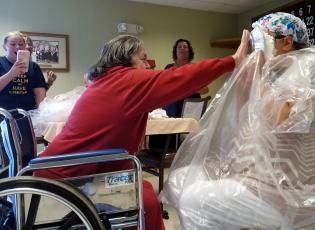 Every year, for as long as anyone here can remember, they have brought gifts for the residents. Each resident also got to have their picture taken with Santa as well. We would also like to mention that the Crivitz Lions Club runs a durable medical supply loan closet out of Crivitz which provides these supplies to the community free of charge. We’d just like to say how much we appreciate what they do for our NEWCare community and for Crivitz. NEWCare Teammates participated in this year’s Chain Reaction Project sponsored by Marinette County Elderly Services, a United Way Agency. This Project is run once in the Spring and again in Fall. Volunteer groups lend a hand to help older adults in their community with basic outdoor chores like raking and window washing. 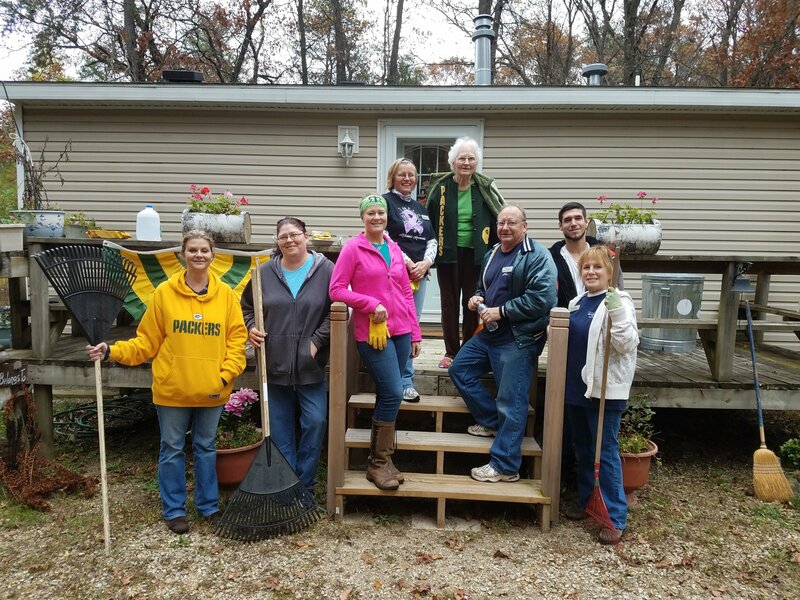 If you would like to volunteer for 2018 projects, contact Marinette County Elderly Services at (715) 854-7453, or look them up on facebook! If you would like to be a teammate working in the long-term care, please check out the Recruiting tab of this website to view opportunities that are available now. 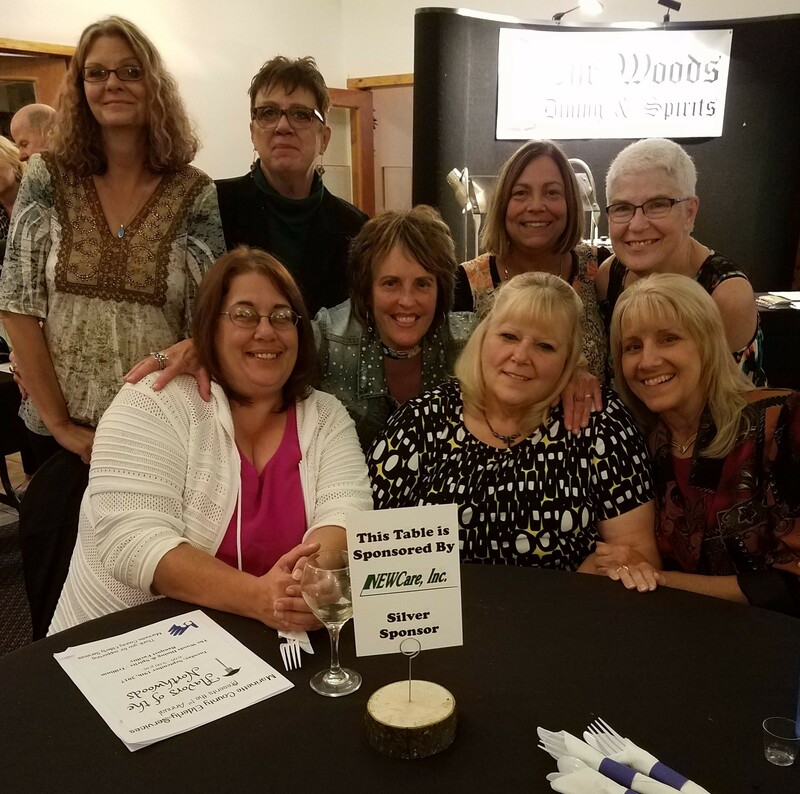 On September 19th NEWCare teammates attended the 1st Annual Flavors of the Northwoods fundraiser for Marinette County Elderly Services held at The Woods in Crivitz. 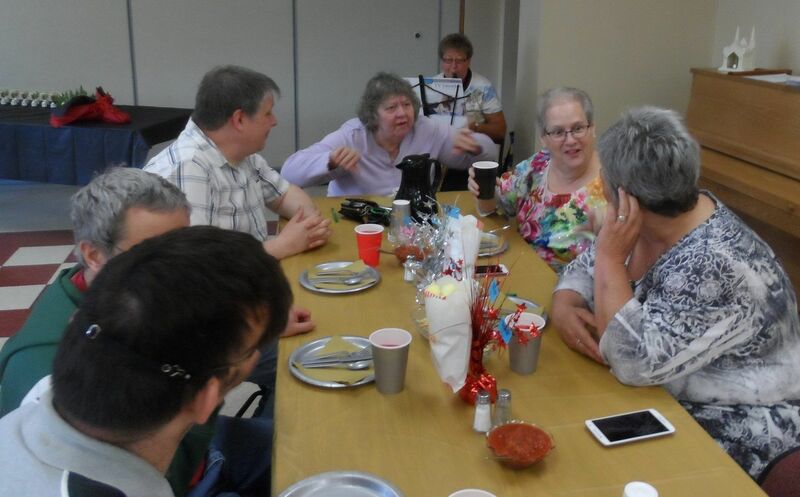 Many different restaurants from around Marinette County supplied samples of the food they offer; everything from pizza, tenderloin, ribs and coffee were made available to taste. Beside food sampling the festivities included abundant raffles and live music. Money raised will help with the meal sites around the county. Shown are teammates at a table sponsored by NEWCare, Inc. 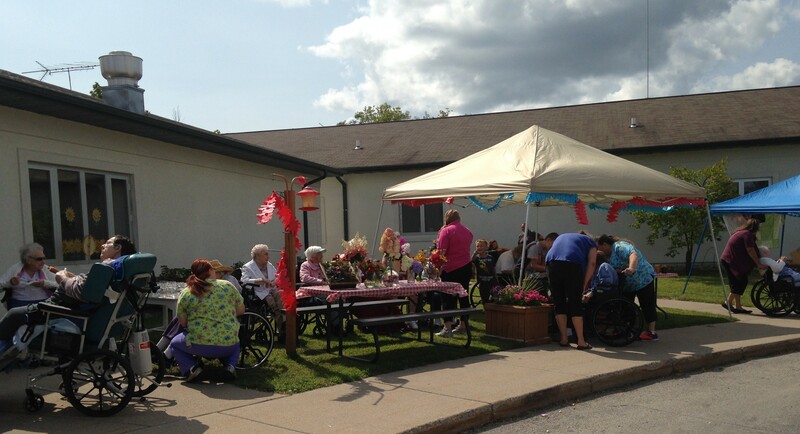 In August NEWCare celebrated, in a fair-like tradition, with residents, patients, their families and teammates. Summerfest was held on August 20th. Summerfest is an annual food and music day with a festive feel to it. Burgers, brats, salads, lemonade and cookies were served and the day was beautiful. 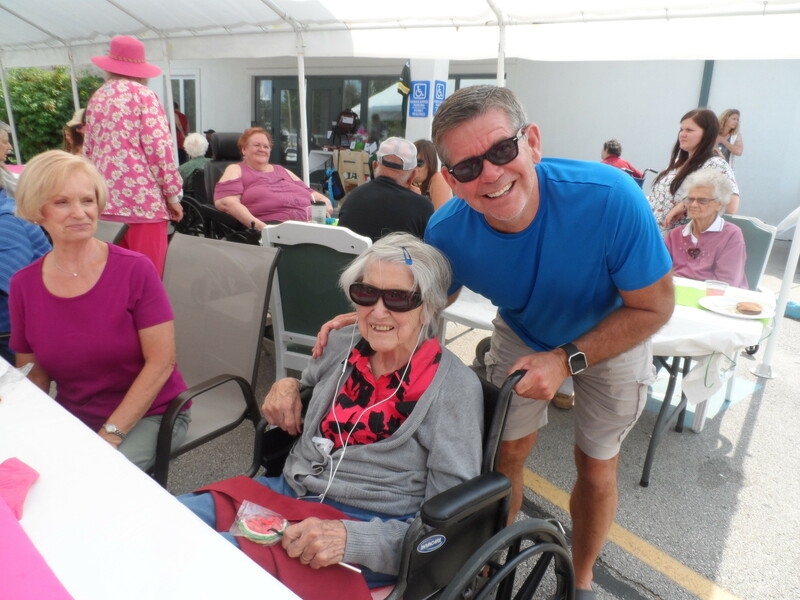 Raffles finished up the day with proceeds going to the Resident Council Fund which the residents use to fund outings and events they would like to participate in. 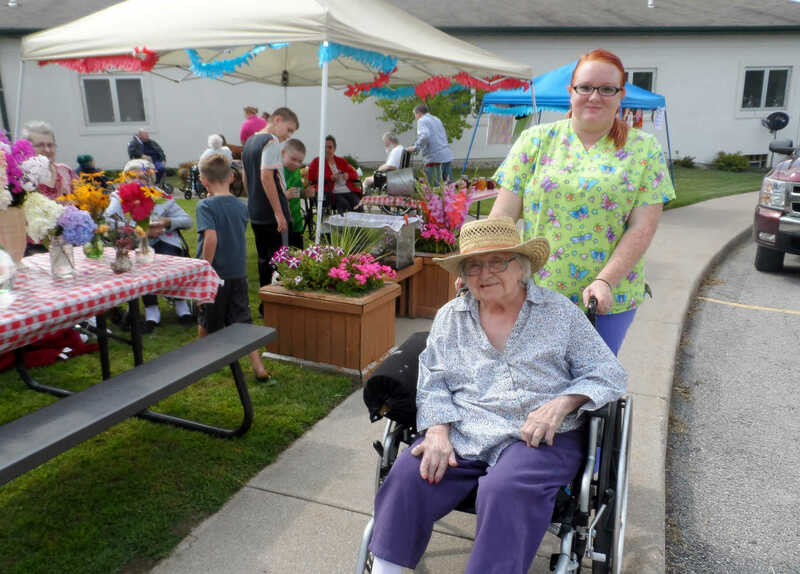 On August 23rd, the residents and patients got a little sampling of a fair-like atmosphere at the NEWCare Community Fair. 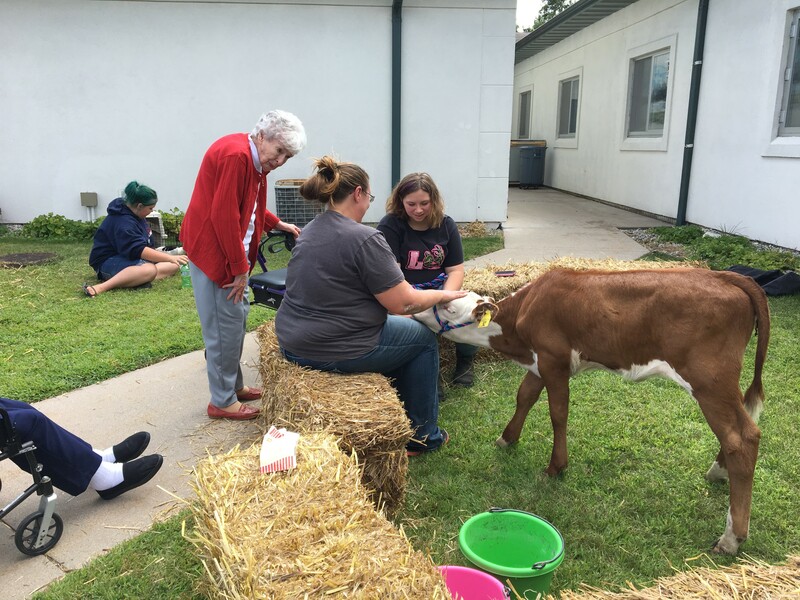 Teammates participated by bringing in animals, flowers, and game prizes to help bring back memories of annual county fairs. Popcorn, corn dogs, lemonade and Five-berry pie were served to all participants which included volunteers and teammate family members that helped out. Every year NEWCare celebrates our volunteers with a Volunteer Luncheon. 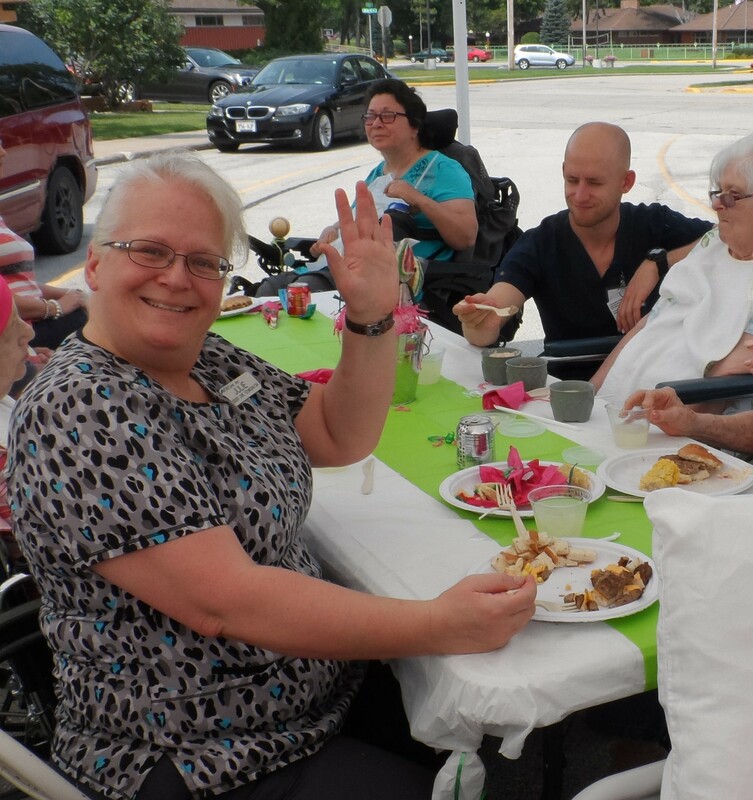 This year’s theme was “Rolling Out The Red Carpet For Our Volunteers.” Our Dietary Department made a wonderful lunch and volunteers were served by NEWCare staff. Oscar themed trivia games were played and a drawing was held for a beautiful bouquet of flowers from Sharkey’s Floral and Greenhouses. 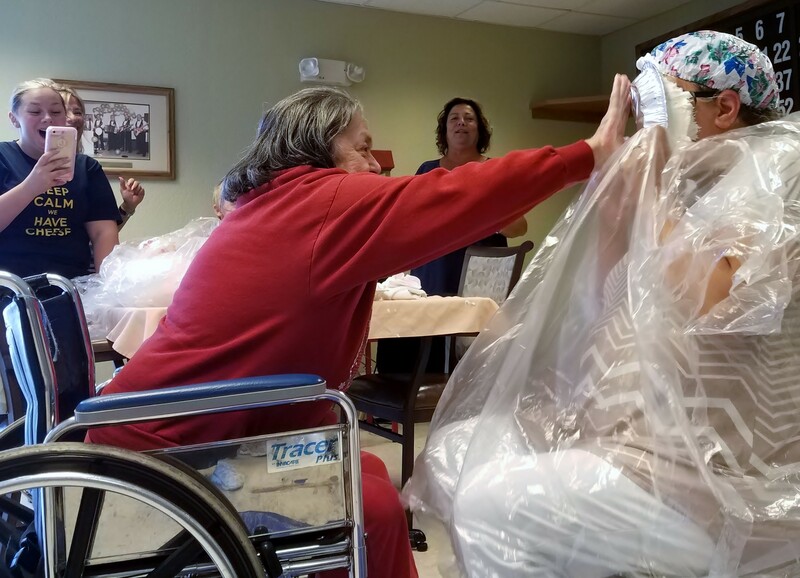 Volunteers at NEWCare do many things ranging from personal time visiting with residents to group activities such as nail polishing, wood carving, musical entertainment, religious ceremony and music, pet visits and calling BINGO. Volunteers’ interests and hobbies translate to a diverse choice of events for residents and patients to participate in. NEWCare thanks all of our volunteers for all of the hard work they do to help make NEWCare a special place to live. If you would like to volunteer your services to NEWCare residents and patients to share your special interests and hobbies, please contact Cindy Behling, Social Worker Designee at (715) 854-2717, extension 242. At the table . . .